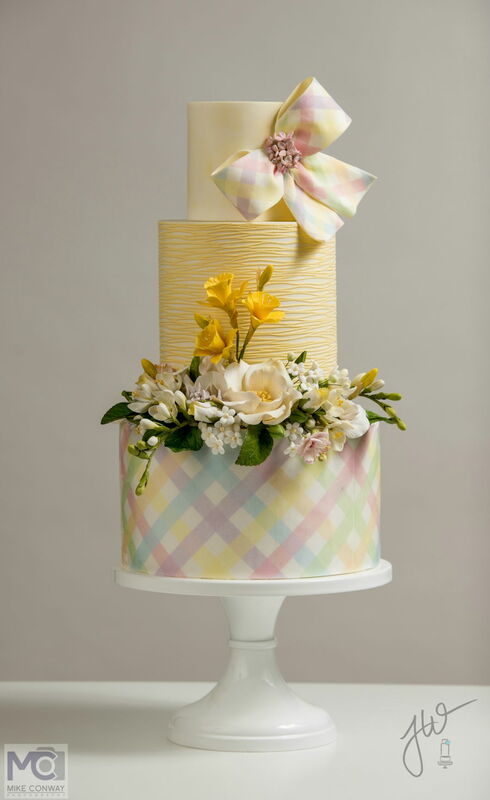 This cheerful cake was inspired by the fragrant flowers and colorful ribbons of Easter. 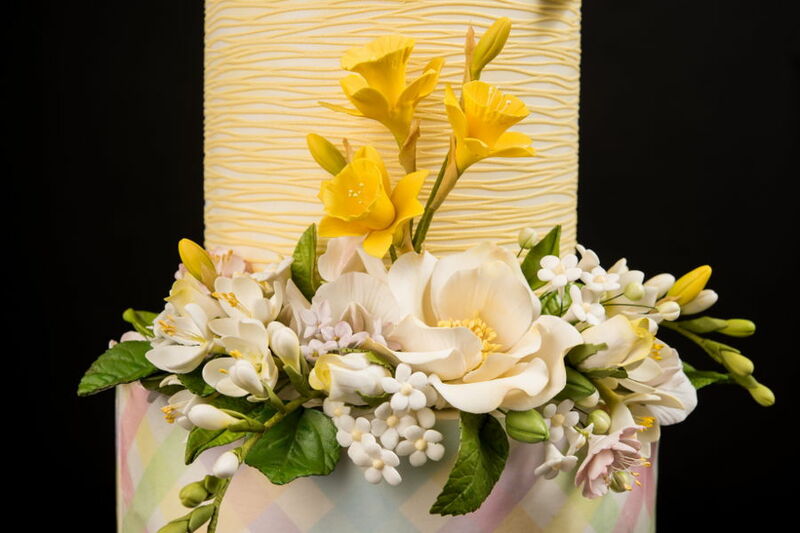 The sugar flowers include daffodils, open rose, freesia, sweet peas, cherry blossoms and buds. 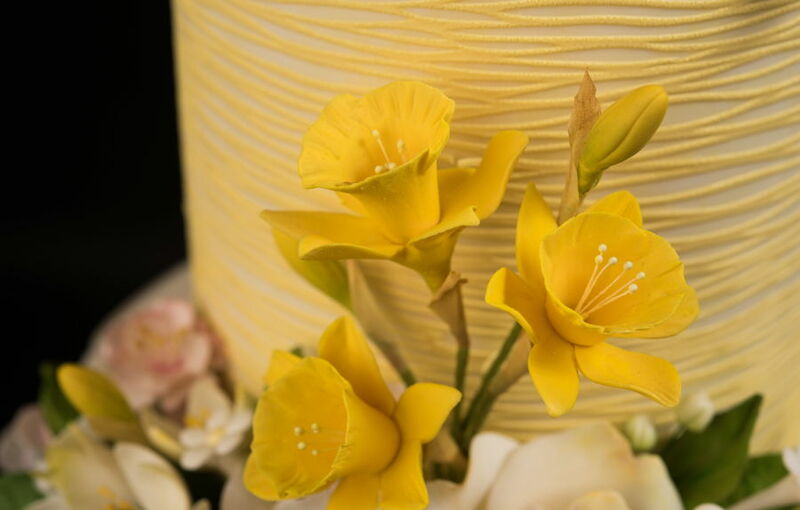 The bow is gum paste with gelatin treated wafer paper and the pretty yellow texture was created with the SugarVeil grass mat. 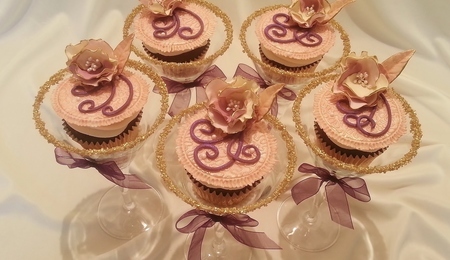 The cake was made for Sarah's Cake Stands. This is gorgeous!! 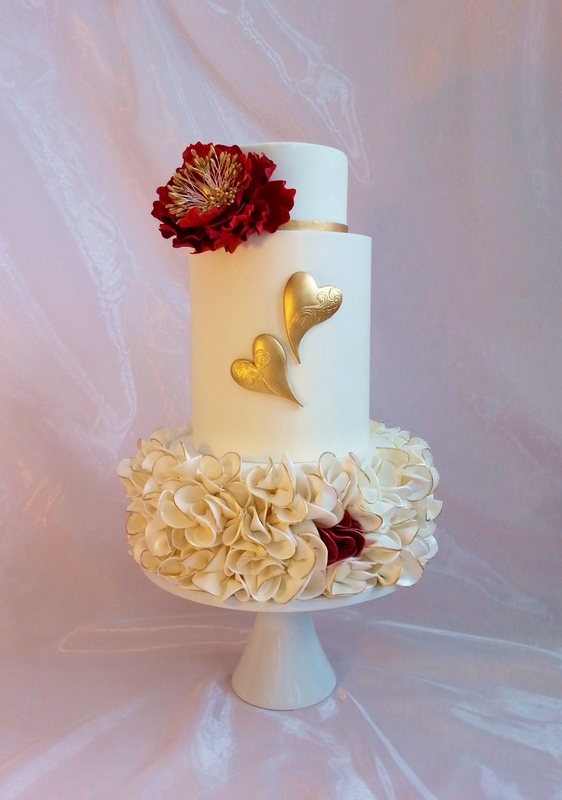 It's probably obvious to the professionals but I was wondering how you did the bottom tier? :) Is it wafer paper? @Rohini ‍ - Yes it is wafer paper. I originally had printed sugar sheets but couldn't get them off the backing. 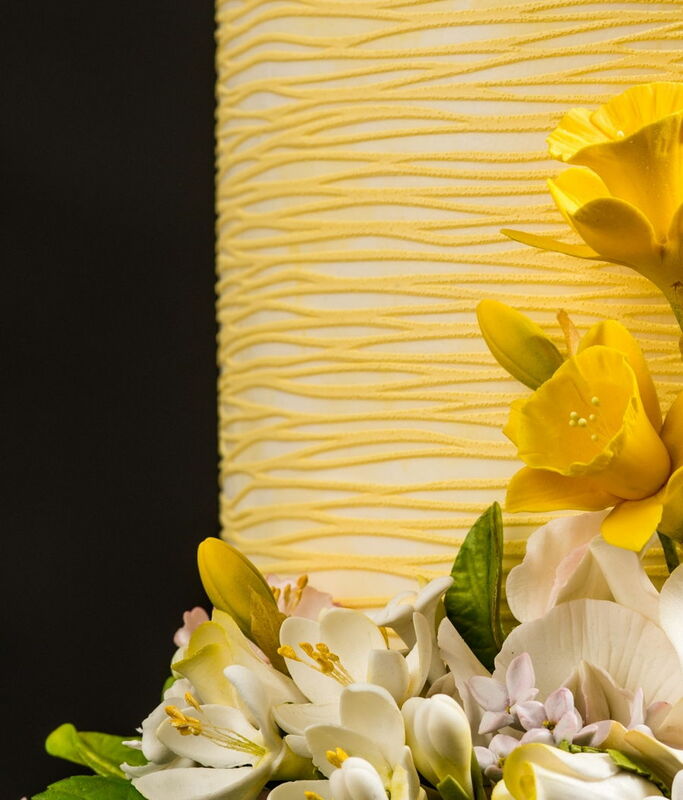 I used wafer paper and was pretty pleased with the look. lovely! How is the middle tier done? 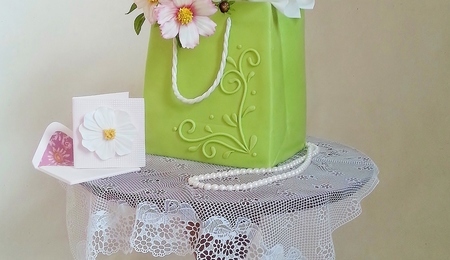 It's a beautiful work of cake art, love the flowers.